Single Shot Rifles Click on thumbnail. on 4-digit Ruger No.1 action. New condition. 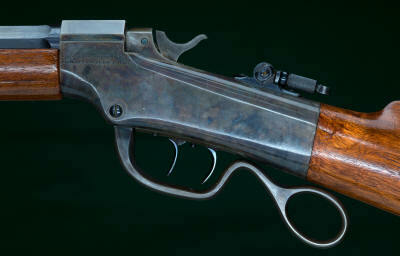 Al Lind Custom Dakota Model 10 .375 Flanged $14,995. multi-colored floral inlays, a leopard head on left and a lion head on right. Loading lever, grip cap, quarter rib and scope rings engraved en suite. 9lbs, 4 1/2oz with scope. 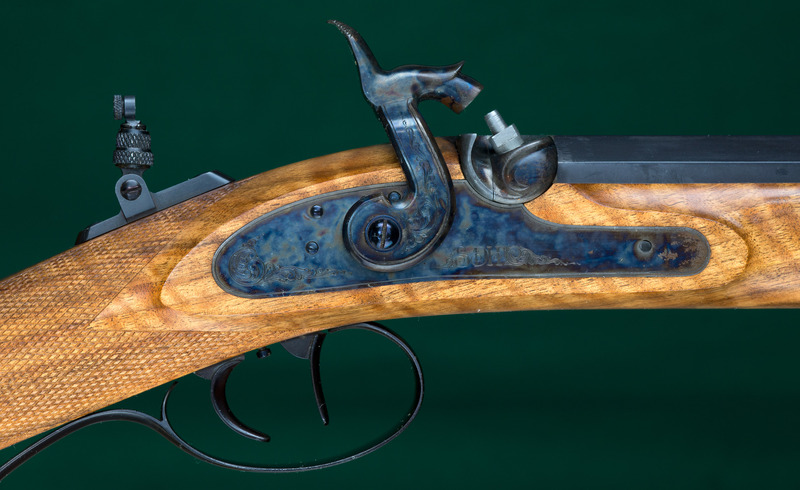 Fine condition with excellent bore and 99%+blue. metalwork finished bright. 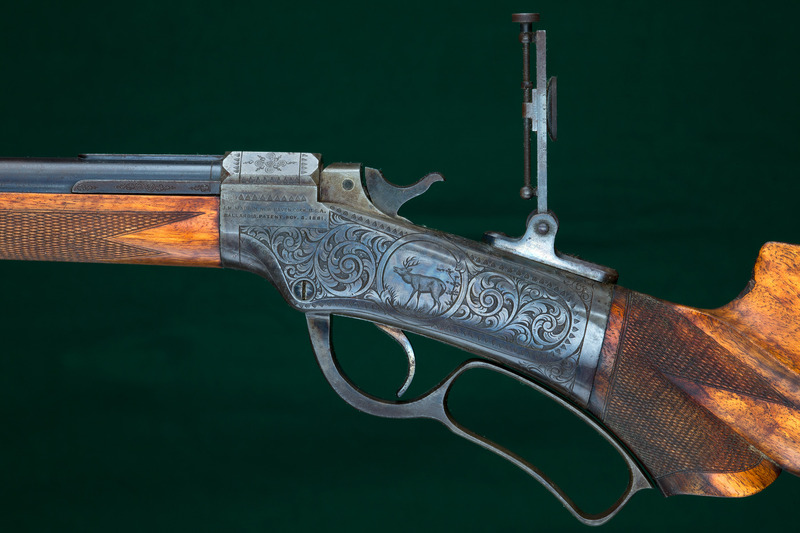 Single-set trigger fitted by Ed LaPour. Pull: 14 1/2". Weight: 7lbs, 15oz. Built 2009. With paperwork. Little used. 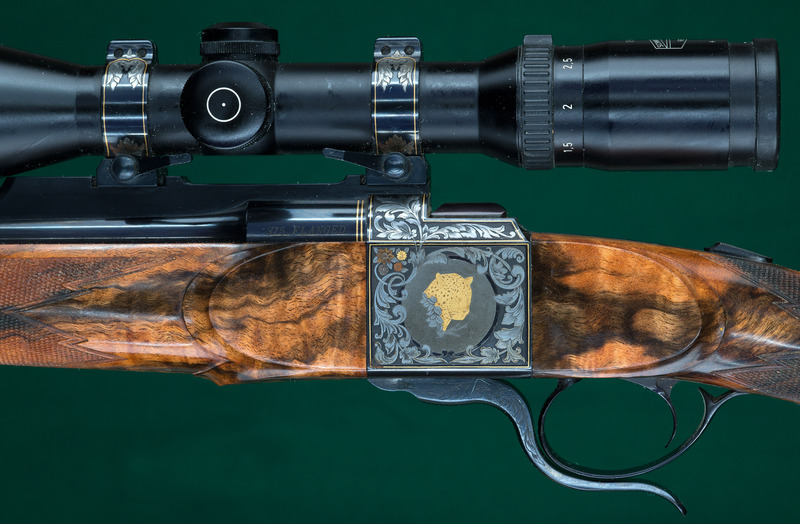 Custom Marlin No.6 Off-Hand Scheutzen Rifle .22 LR $13,950. box of original paper-patched bullets. 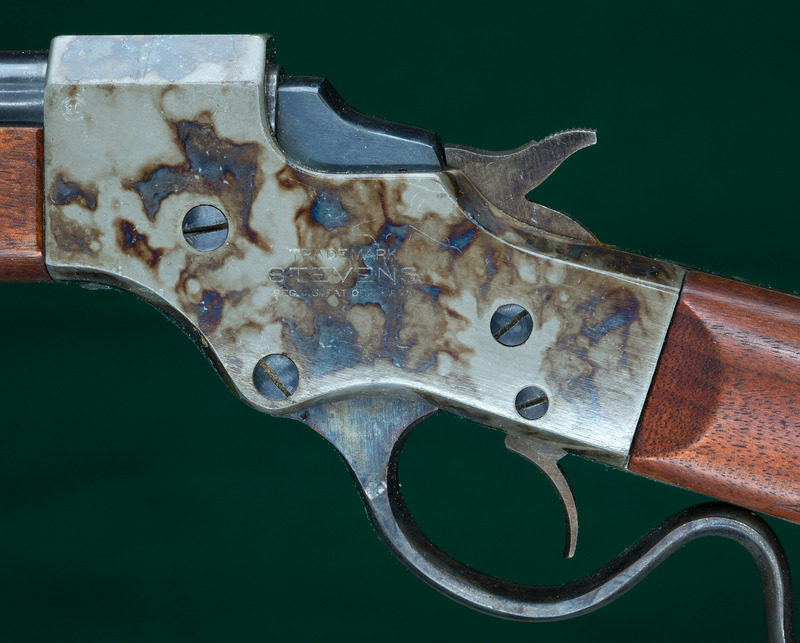 triggers, finger-loop lever, checkered hammer and vernier tang peep sight. blue and 25% receiver casehardening colors. Excellent bore. 15oz without. Built 1982 - 1990. 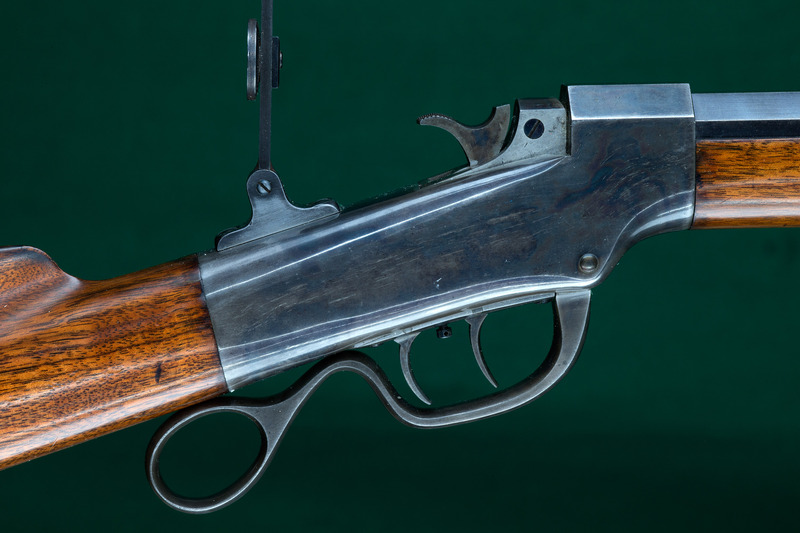 Little used and with excellent bore. 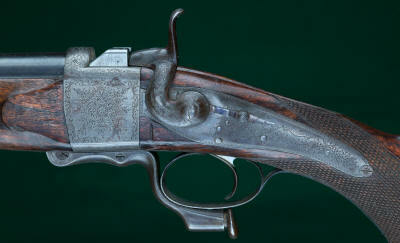 engraved and with "HASTINGS & HAGN" in ribands on sides of action. 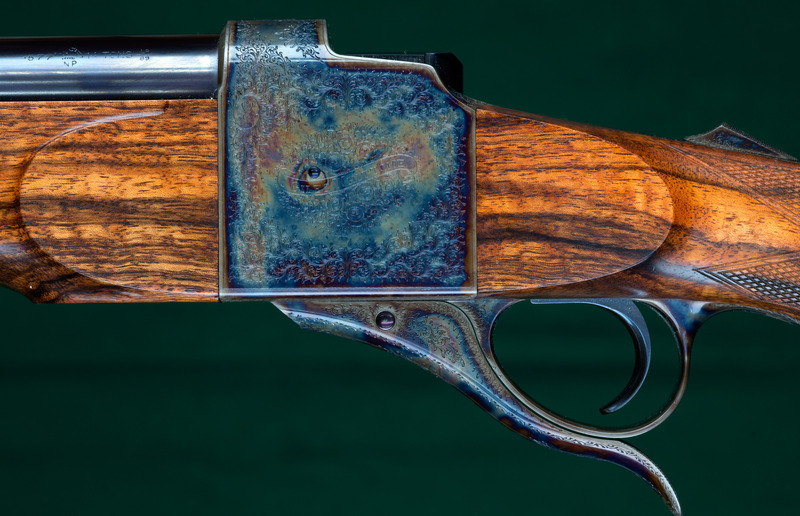 retaining 99% barrel blue, 99% casehardening colors, and an excellent bore. 100 rounds of Hastings 20 gauge, 3 1/2" sabot slug ammunition. mounts fitted directly to quarter rib without separate bases. Pull: 13 3/4". Weight: 9lbs, 8oz. Very little used. Custom Sharps 1877 Long Range Creedmoor .45-70 $8650. blue, 98% case colors on receiver and buttplate. Barrel numbered to receiver. with 2oz pull. The fully-shrouded action alone measures 16 1/2" long and 3"
wrench. With extensive paperwork relating to its construction. some light scratches in wood. 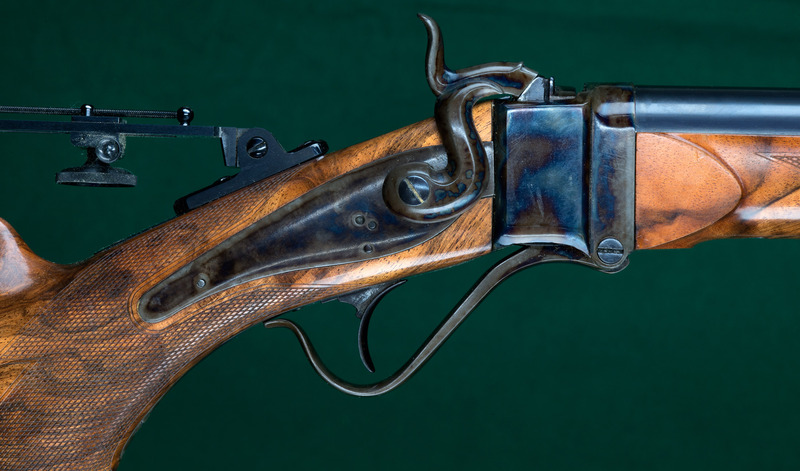 The exact rifle pictured in Whittome's catalog.